Social psychology is the scientific study of how people’s thoughts, feelings, and behaviors are influenced by the actual, imagined, or implied presence of others (Allport 1998). By this definition, scientific refers to the empirical method of investigation. The terms thoughts, feelings, and behaviors include all of the psychological variables that are measurable in a human being. The statement that others may be imagined or implied suggests that we are prone to social influence even when no other people are present, such as when watching television, or following internalized cultural norms. Social psychology is an empirical science that attempts to answer a variety of questions about human behavior by testing hypotheses, both in the laboratory and in the field. Such approach to the field focuses on the individual, and attempts to explain how the thoughts, feelings, and behaviors of individuals are influenced by other people. A relatively recent field, social psychology has nonetheless had a significant impact not only on the academic worlds of psychology, sociology, and the social sciences in general, but has also influenced public understanding and expectation of human social behavior. By studying how people behave under extreme social influences, or lack thereof, great advances have been made in understanding human nature. Human beings are essentially social beings, and thus, social interaction is vital to the health of each person. 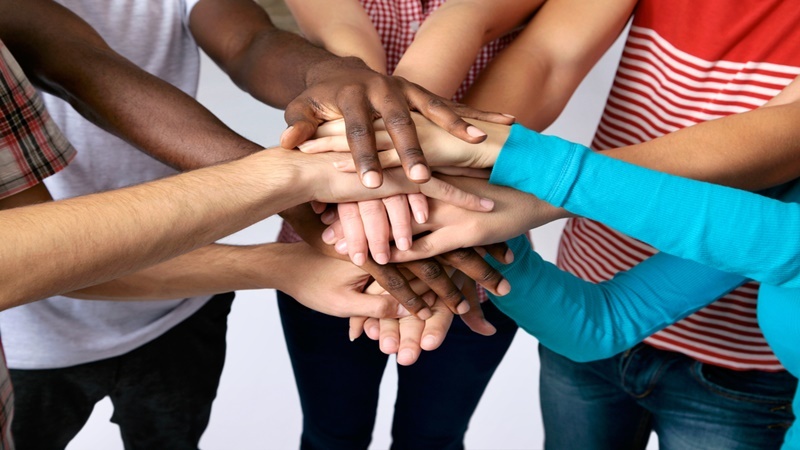 Through investigating the factors that affect social life and how social interactions affect individual psychological development and mental health, a greater understanding of how humankind as a whole can live together in harmony is emerging. Read more about Social Psychology Theories. Social psychology is a branch of psychology that studies cognitive, affective, and behavioral processes of individuals as influenced by their group membership and interactions, and other factors that affect social life, such as social status, role, and social class. Social psychology examines the effects of social contacts on the development of attitudes, stereotypes, discrimination, group dynamics, conformity, social cognition and influence, self-concept, persuasion, interpersonal perception and attraction, cognitive dissonance, and human relationships. A significant number of social psychologists are sociologists. Their work has a greater focus on the behavior of the group, and thus examines such phenomena as interactions and social exchanges at the micro-level, and group dynamics and crowd psychology at the macro-level. Sociologists are interested in the individual, but primarily within the context of social structures and processes, such as social roles, race and class, and socialization. They tend to use both qualitative and quantitative research designs. Sociologists in this area are interested in a variety of demographic, social, and cultural phenomena. Some of their major research areas are social inequality, group dynamics, social change, socialization, social identity, and symbolic interactionism. Social psychology bridges the interest of psychology (with its emphasis on the individual) with sociology (with its emphasis on social structures). Most social psychologists are trained within the discipline of psychology. Psychologically oriented researchers place a great deal of emphasis on the immediate social situation, and the interaction between person and situation variables. Their research tends to be highly empirical and is often centered round lab experiments. Psychologists who study social psychology are interested in such topics as attitudes, social cognition, cognitive dissonance, social influence, and interpersonal behavior. Two influential journals for the publication of research in this area are The Journal of Personality and Social Psychology and The Journal of Experimental Social Psychology. Read more about Sociological Social Psychology. During World War II, social psychologists studied persuasion and propaganda for the US military. After the war, researchers became interested in a variety of social problems, including gender issues and racial prejudice. In the 1960s, there was growing interest in a variety of new topics, such as cognitive dissonance, bystander intervention, and aggression. By the 1970s, however, social psychology in America had reached a crisis. There was heated debate over the ethics of laboratory experimentation, whether or not attitudes really predicted behavior, and how much science could be done in a cultural context (Gergen 1973). This was also the time when a radical situationist approach challenged the relevance of self and personality in psychology. During the years immediately following World War II, there was frequent collaboration between psychologists and sociologists (Sewell 1989). However, the two disciplines have become increasingly specialized and isolated from each other in recent years, with sociologists focusing on macro variables (such as social structure) to a much greater extent. Nevertheless, sociological approaches to social psychology remain an important counterpart to psychological research in this area. Social psychology reached maturity in both theory and method during the 1980s and 1990s. Careful ethical standards now regulate research, and greater pluralism and multicultural perspectives have emerged. Modern researchers are interested in a variety of phenomena, but attribution, social cognition, and self-concept are perhaps the greatest areas of growth. Social psychologists have also maintained their applied interests, with contributions in health and environmental psychology, as well as the psychology of the legal system. Social psychology is the study of how social conditions affect human beings. Scholars in this field are generally either psychologists or sociologists, though all social psychologists employ both the individual and the group as their units of analysis. Despite their similarity, the disciplines tend to differ in their respective goals, approaches, methods, and terminology. They also favor separate academic journals and professional societies. Read more about History of Social Psychology. In its simplest form, experimentation is a method of determining the presence or absence of a causal relationship between two variables by systematically manipulating one variable (called the independent variable) and assessing its effect on another variable (called the dependent variable). Some scholars have questioned the utility of experimentation, noting that the experiments which researchers design sometimes do not resemble the circumstances that people encounter in their everyday lives. However, experimentation is the only research method that allows one to definitively establish the existence of a causal relationship between two or more variables. Read more about Social Psychology Experiments. Social psychologists typically explain human behavior as a result of the interaction of mental states and immediate, social situations. In Kurt Lewin’s (1951) Heuristic behavior can be viewed as a function of the person and the environment, B = f(P,E). Experimental methods involve the researcher altering a variable in the environment and measuring the effect on another variable. An example would be allowing two groups of children to play violent or nonviolent videogames, and then observing their subsequent level of aggression during free-play period. A valid experiment is controlled and uses random assignment. Co-relational methods examine the statistical association between two naturally occurring variables. For example, one could correlate the amount of violent television children watch at home with the number of violent incidents the children participate in at school. Note that this study would not prove that violent TV causes aggression in children. It is quite possible that aggressive children choose to watch more violent TV programs. Observational methods are purely descriptive and include naturalistic observation, contrived observation, participant observation, and archival analysis. These are less common in social psychology but are sometimes used when first investigating a phenomenon. An example would be to unobtrusively observe children on a playground (with a video camera, perhaps) and record the number and types of aggressive actions displayed. Because it is usually impossible to test everyone, research tends to be conducted on a sample of persons from the wider population. Social psychologists frequently use survey research when they are interested in results that are high in external validity. Surveys use various forms of random sampling to obtain a sample of respondents that are representative of a population. This type of research is usually descriptive or co-relational because there is no experimental control over variables. However, new statistical methods, like structural equation modeling, are being used to test for potential causal relationships in this type of data. Regardless of which method is used, it is important to evaluate the research hypothesis in the light of the results, either confirming or rejecting the original prediction. Social psychologists use statistics and probability testing to judge their results, which define a significant finding as less than 5% likely to be due to chance. Replications are important to ensure that the result is valid and not due to chance or some feature of a particular sample. 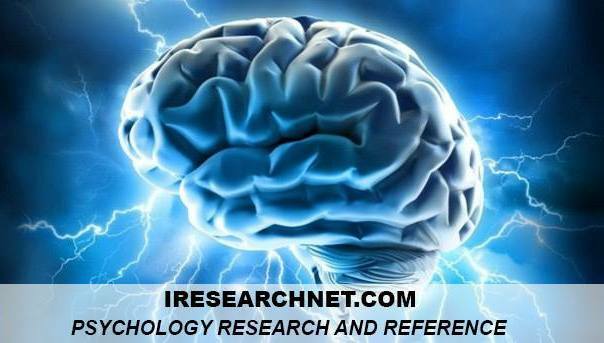 Read more about Social Psychology Research Methods. The practice of deception has been challenged by some psychologists who maintain that deception under any circumstances is unethical, and that other research strategies (such as role-playing) should be used instead. Unfortunately, research has shown that role-playing studies do not produce the same results as deception studies and this has cast doubt on their validity. In addition to deception, experimenters have at times put people into potentially uncomfortable or embarrassing situations (for example, Milgram’s Obedience to Authorities experiments, Zimbardo’s Stanford Prison experiment), and this has also been criticized for ethical reasons. Adler, L. L., & Gielen, U. P. (Eds.). (2001). Cross-cultural topics in psychology (2nd ed.). Westport: Praeger. Allport, G. W. (1998). The historical background of social psychology. In G. Lindzey & E. Aronson (Eds. ), The handbook of social psychology. Oxford: Oxford University Press. Ambady, N., & Rosenthal, R. (1992). Thin slices of expressive behavior as predictors of interpersonal consequences: A meta-analysis. Psychological Bulletin, 111, 256–274. Asch, S. E. (1955). Opinions and social pressure. Scientific American, 193, 31–35. Batson, C. D. (1998). Altruism and pro-social behavior. In D. T. Gilbert, S. T. Fiske, & G. Lindzey (Eds. ), The handbook of social psychology. New York: Oxford University Press. Bem, D. (1970). Beliefs, attitudes, and human affairs. Belmont: Brooks/Cole. Borkenau, P., & Liebler, A. (1992). Trait inferences: Sources of validity at zero acquaintance. Journal of Personality and Social Psychology, 62, 645–647. Cialdini, R. B. (2000). Influence: Science and practice. Boston: Allyn & Bacon. Correll, J., Park, B., Judd, C. M., &Wittenbrink, B. (2002). The police officer’s dilemma: Using ethnicity to disambiguate potentially threatening individuals. Journal of Personality and Social Psychology, 83, 1314–1329. Cote, J. E., & Levine, C. G. (2002). Identity formation, agency, and culture. Mahwah: Lawrence Erlbaum. Cronbach, L. J. (1955). Processes affecting scores on “understanding of others” and “assumed similarity”. Psychological Bulletin, 52, 177–193. Festinger, L., & Carlsmith, J. M. (1959). Cognitive consequences of forced compliance. Journal of Abnormal and Social Psychology, 58, 203–211. Gergen, K. J. (1973). Social psychology as history. Journal of Personality and Social Psychology, 26, 309–320. Gielen, U. P., & Adler, L. L. (Eds.). (1992). Psychology in international perspective: 50 years of the International Council of Psychologists. Lisse, The Netherlands: Swets & Zeitlinger. Gladwell, M. (2005). Blink: The power of thinking without thinking. Boston: Little, Brown. Guzewicz, T. D., & Takooshian, H. (1992). Development of a shortform scale of public attitudes toward homelessness. Journal of Social Distress and the Homeless, 1(1), 67–79. Kelley, C. P., & Vichinstein, S. D. S. (2007). An introduction to DIRP theory: Disentangling interspecies reproduction patterns. Presented at the Annual Conference of the ISAA. Kenny, D. A. (1994). Interpersonal perception: A social relations analysis. New York: Guilford. Latane, B. (1981). The psychology of social impact. The American Psychologist, 36, 343–356. Lewin, K. (1951). Field theory in social science: Selected theoretical papers. New York: Harper & Row. Mesoudi, A. (2007). Using the methods of experimental social psychology to study cultural evolution. Journal of Social, Evolutionary and Cultural Psychology, 1(2), 35–58. Milgram, S. ( 2004). Obedience to authority. New York: Harper & Bros.
Perloff, R. M. (2007). The dynamics of persuasion.Mahwah: Lawrence Erlbaum. Rieber, R.W., Takooshian, H., & Iglesias, H. (2002). The case of Sybil in the teaching of psychology. Journal of Social Distress and the Homeless, 11(4), 355–360. Schaller, M., Simpson, J. A., & Kenrick, D. T. (2006). Evolution and social psychology (frontiers of social psychology). New York: Psychology Press. Sewell, W. H. (1989). Some reflections on the golden age of interdisciplinary social psychology. Annual Review of Sociology, 15, 1–17. Sherif, M. (1954). Experiments in group conflict. Scientific American, 195, 54–58. Sternberg, R. J. (1986). A triangular theory of love. Psychological Review, 93, 119–135. Tajfel, H., & Turner, J. C. (1986). The social identity theory of intergroup behavior. In S. Worchel & W. G. Austin (Eds. ), Psychology of intergroup relations. Chicago: Nelson-Hall. Takooshian, H. (2000). How Stanley Milgram taught about obedience and social influence. In T. Blass (Ed. ), Obedience to authority (pp. 9–24). Mahwah: Lawrence Erlbaum. Takooshian, H. (2005a). Reviewing 100 years of cross-national work on intelligence. PsycCRITIQUES, 50(12). Takooshian, H. (Ed.). (2005b). Social psychology of city life [Special issue]. Journal of Social Distress and the Homeless, 14(1, 2), 1–77. Takooshian, H., & Verdi, W. M. (1995). Assessment of attitudes toward terrorism. In L. L. Adler & F. L. Denmark (Eds. ), Violence and the prevention of violence. Westport: Praeger. Takooshian, H., Mrinal, N., & Mrinal, U. (2001). Research methods for studies in the field. In L. L. Adler & U. P. Gielen (Eds. ), Crosscultural topics in psychology (2nd ed.). Westport: Praeger. Triplett, N. (1898). The dynamogenic factors in pacemaking and competition. The American Journal of Psychology, 9, 507–533. Vazier, S., & Gosling, S. D. (2004). e-Perceptions: Personality impressions based on personal websites. Journal of Personality and Social Psychology, 87, 123–132. Watson, D. (1989). Strangers’ ratings of the five robust personality factors: Evidence of a surprising convergence with self-report. Journal of Personality and Social Psychology, 57, 120–128.